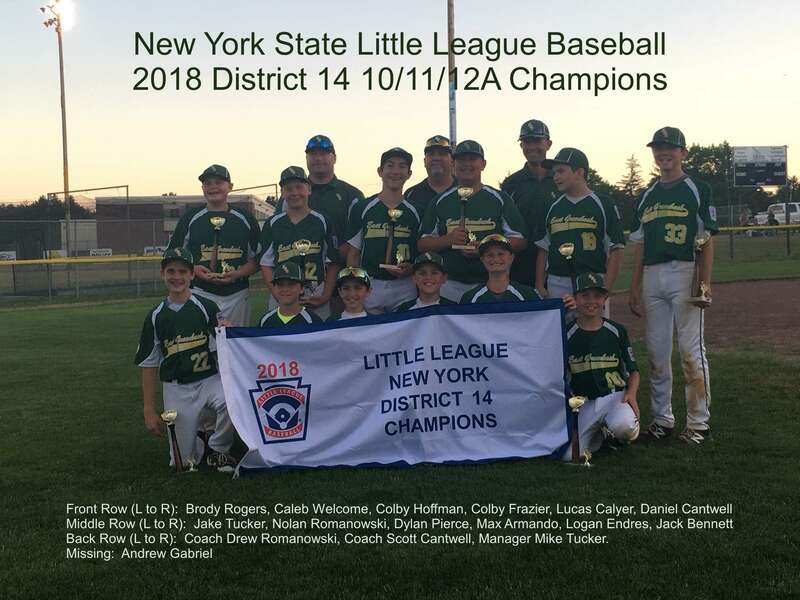 Welcome to the home page for New York State'sDistrict 14 Little League. District 14 serves the northeastern portion of Albany County as well asthe western portion of central and southern Rensselaer County. The district is currently composedof 9 LL Baseball leagues and 1 LL Softball league serving several thousand players. Little League has announced updated rules for the upcoming season. Please click 2019 Rule Changes and Clarifications to view the recently released information. The final game of the 2018 10B Round Robin Tournament was played Wednesday and Thursday nights at Twin Town's Poestenkill Complex. Wednesdays game was called by the umpires due to darkness after six innings with both teams tied at 14. The game resumed Thursday at that point with Cohoes the 18-15 victor in the final. The final game of the 2018 12B Round Robin Tournament was played Thursday night at the Sports Compex on Gilligan Road. The games outcome was determined by a single run in a very close contest. Guilderland LL travels to EGC on Saturday, 7/14, for a 5:45 PM contest. 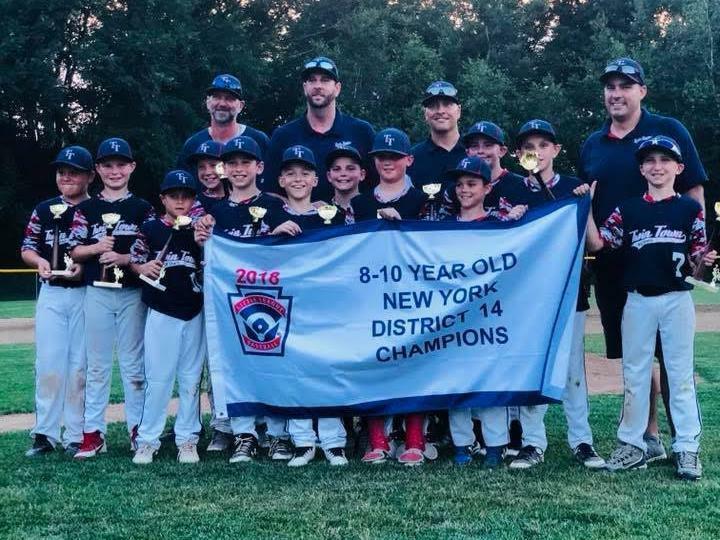 The final game of the 2018 9/11A Tournament was played Friday night at theTwin Town LL Complex in Poestenkill. Twin Town took the championship in six innings 6-3 in anexciting exhibition over the visitors from East Greenbush-Castleton LL. 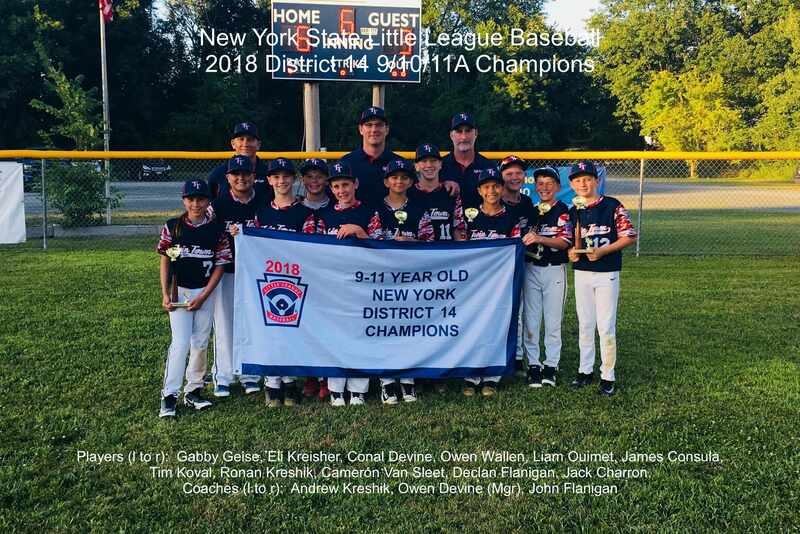 TT's Manager Owen Devine's initial response stated, "The boys and girls of Twin Town11 would like to thank East Greenbush and Cohoes for a great tournament and we hope to make all ofDistrict 14 proud!". Congratulations to all participants in the tournament. More information and photos to followshortly. 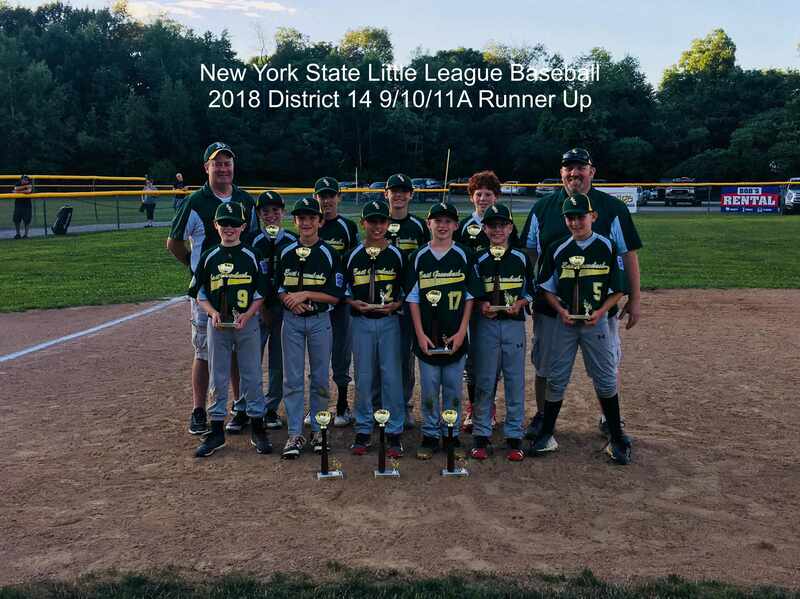 The final game of the 2018 8/9/10A Tournament was played Thursday evening at the Twin Town LL Complex in Poestenkill. Twin Town took the championship in six innings 12-6 in an exciting contest over their challengers from East Greenbush-Castleton LL. 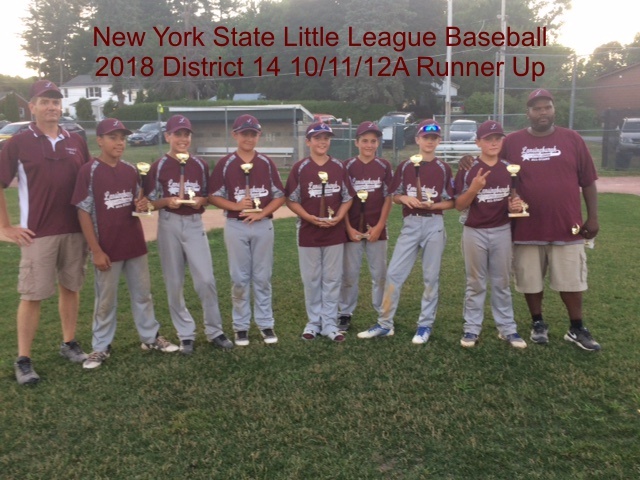 Congratulations to all participants in the tournament from East Greenbush-Castleton, Lansingburgh and Watervliet LL's in a well played tournament. Schedules for Section 2 District 14 tournament winnersare available from the menu under Section 2 (baseball under Section 2 South LLBB and softball atSection 2 LL Softball).